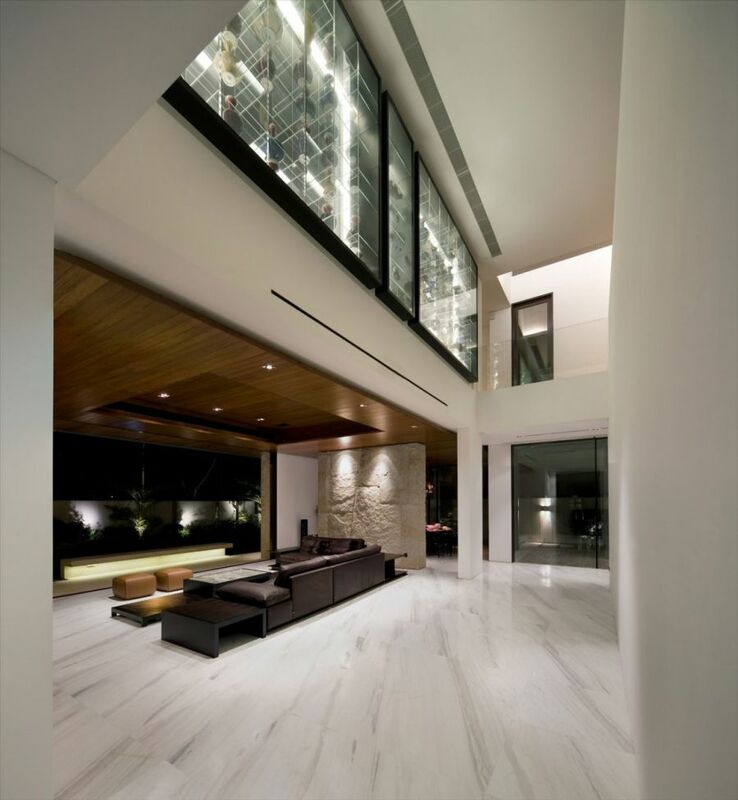 Contemporary design is all about innovation. 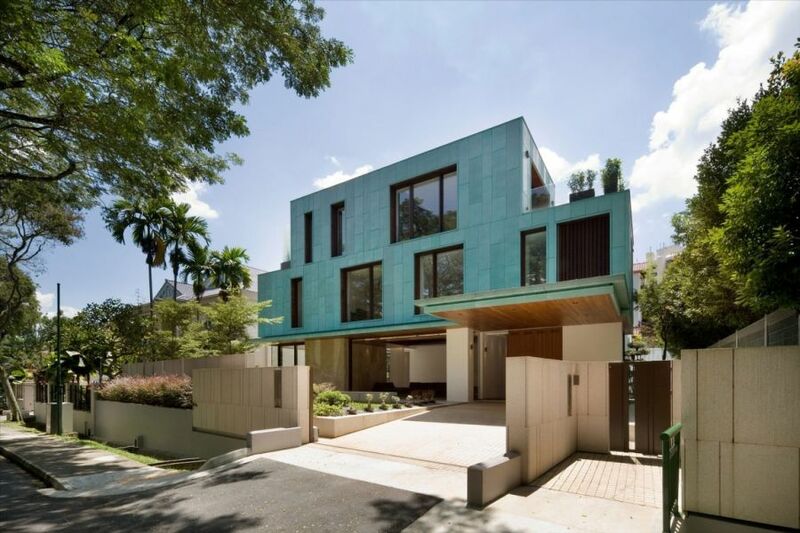 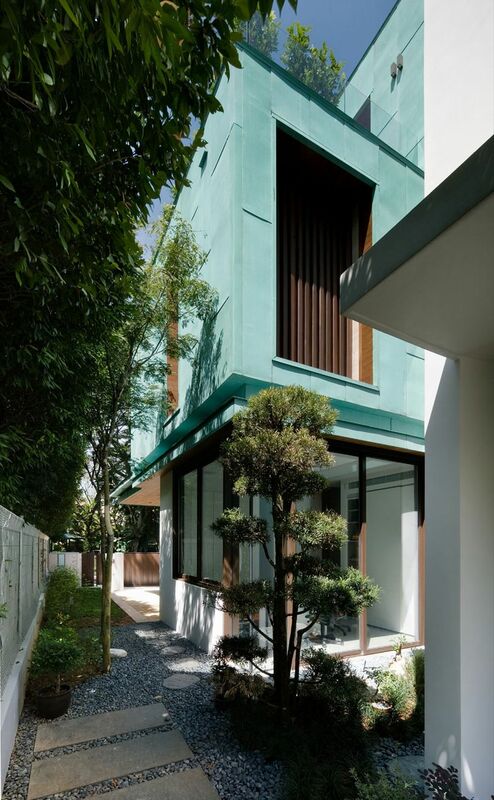 The fascinating Green House in Singapore designed by presents an innovative take on energy consumption. 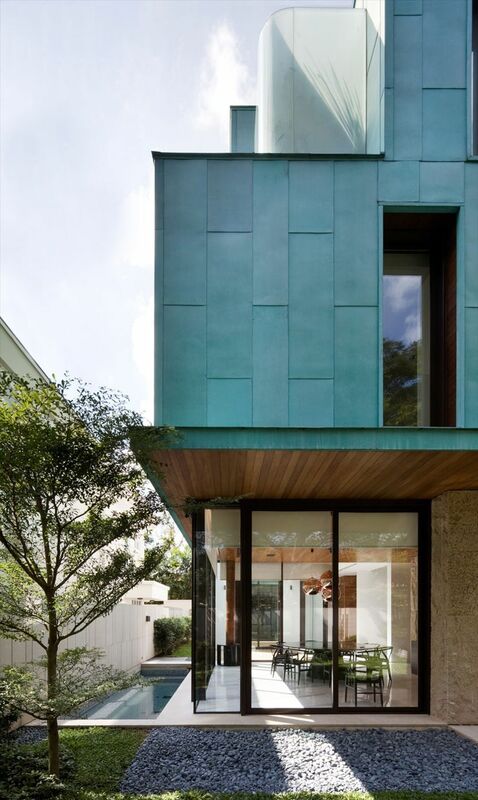 Clad in a patina-aged copper exterior, the home paints a very distinct visual picture. 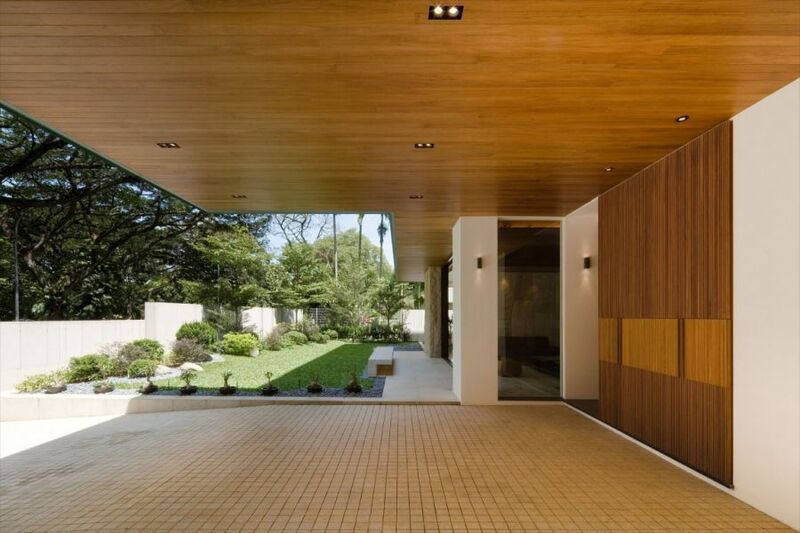 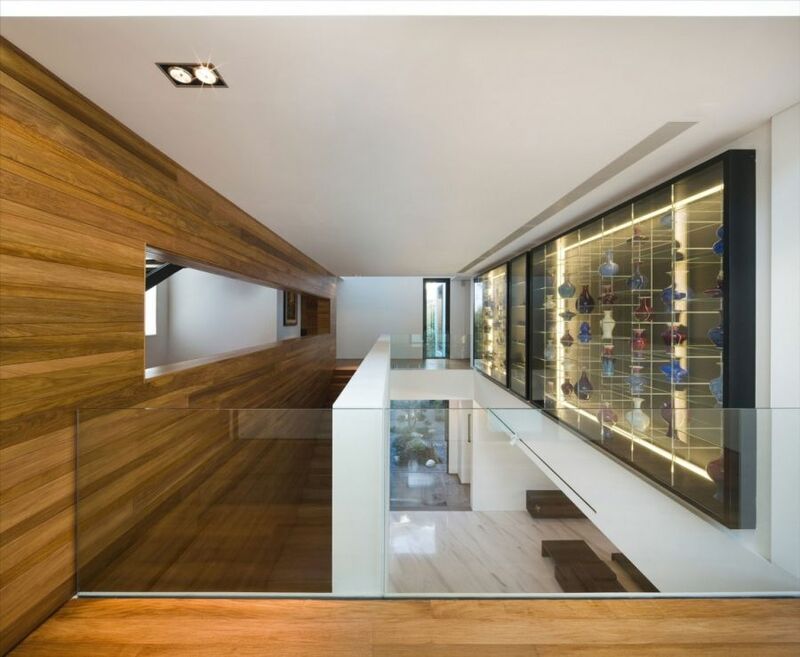 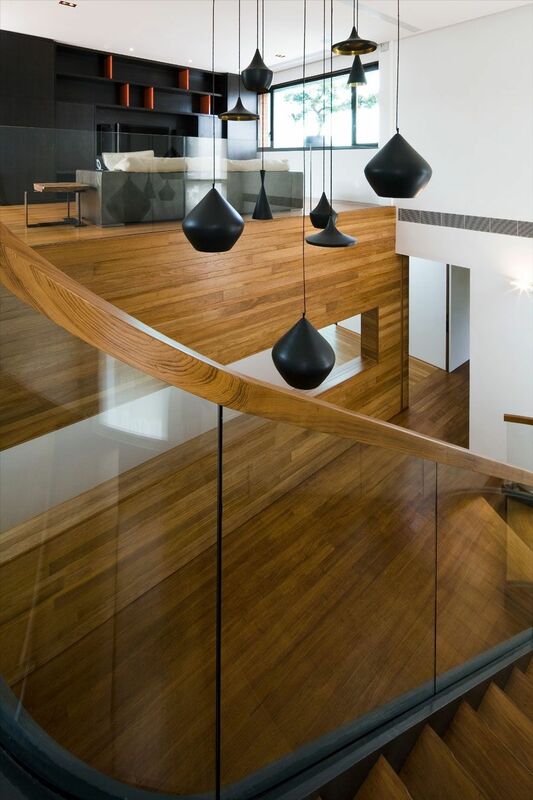 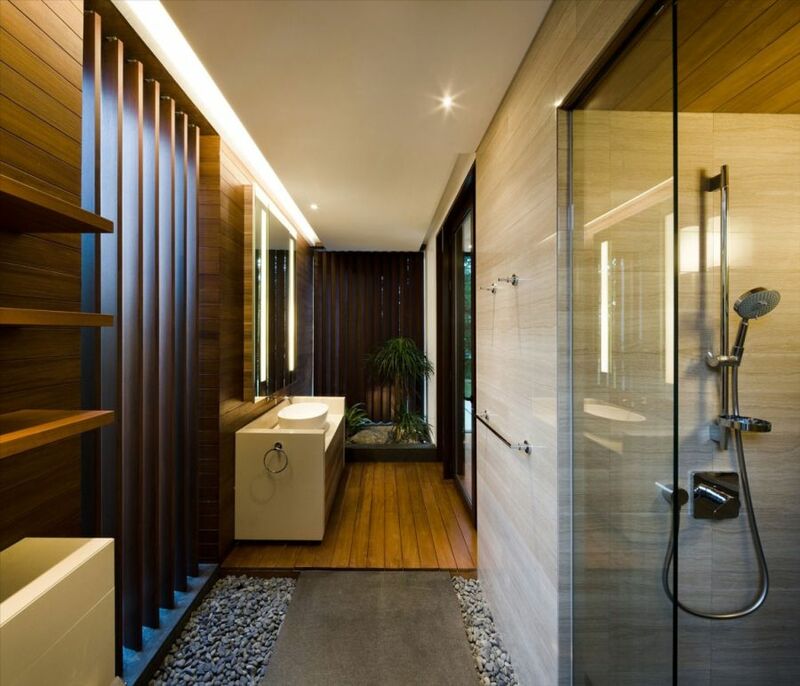 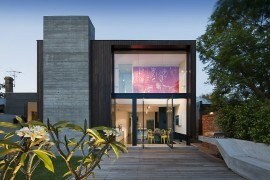 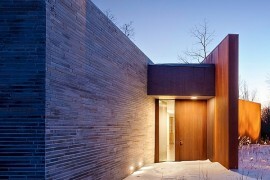 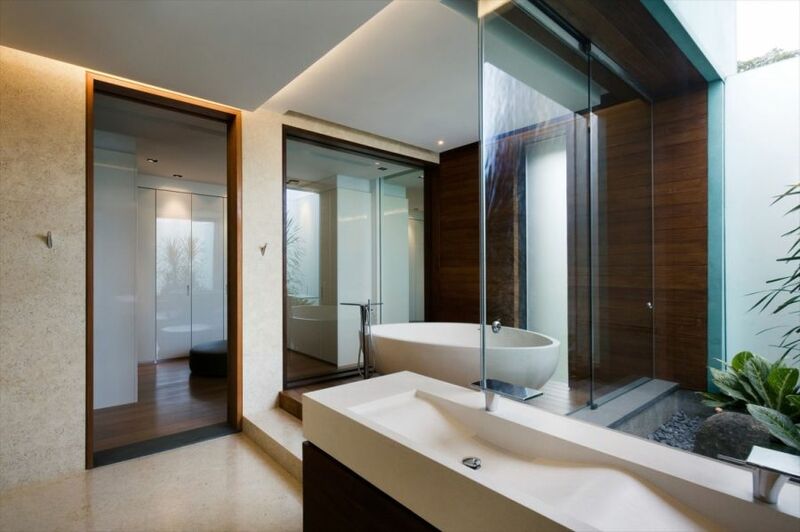 Step inside though and you will see stylish modern interiors that are laced in wood stone and glass. 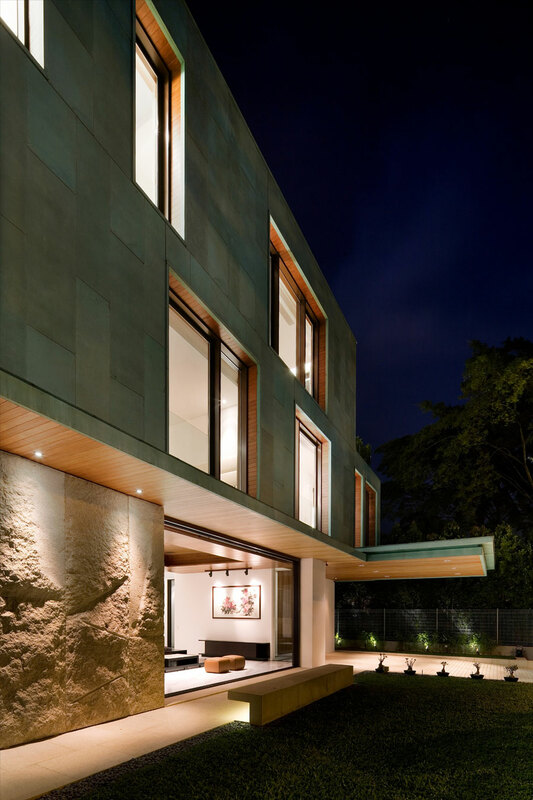 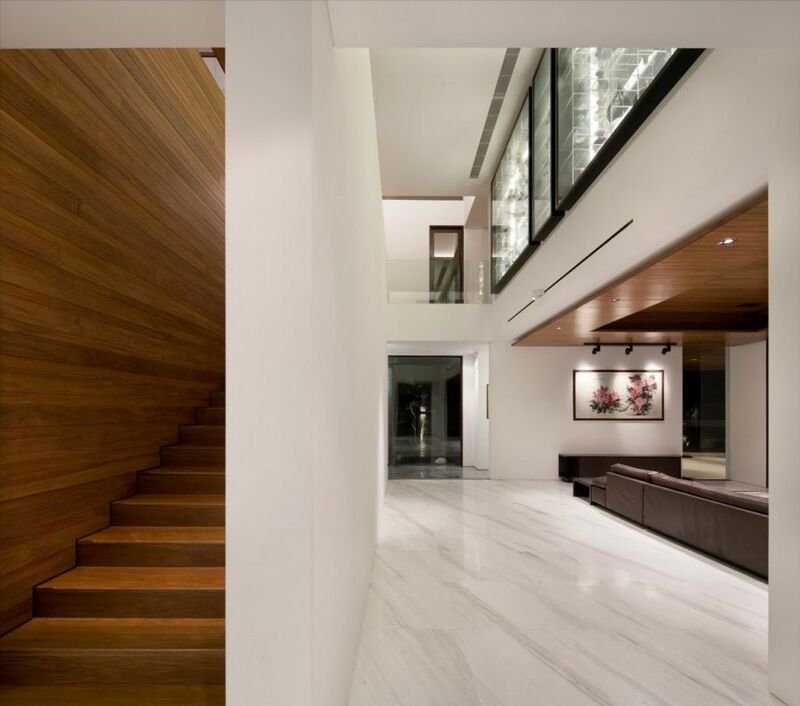 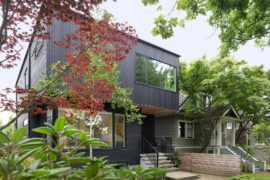 This beautiful contrast, coupled with the creative façade of the residence make the 7,879 square foot contemporary home both appealing and inviting. 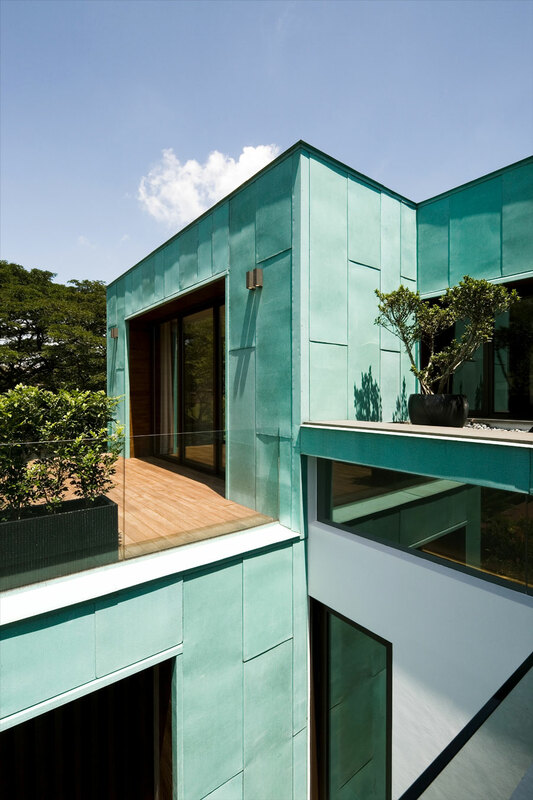 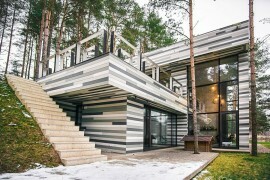 Surrounded by plenty of natural green, the home tries to pay off of this visual as its metallic exterior reflects the images all around the home. 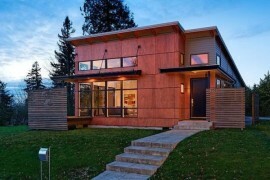 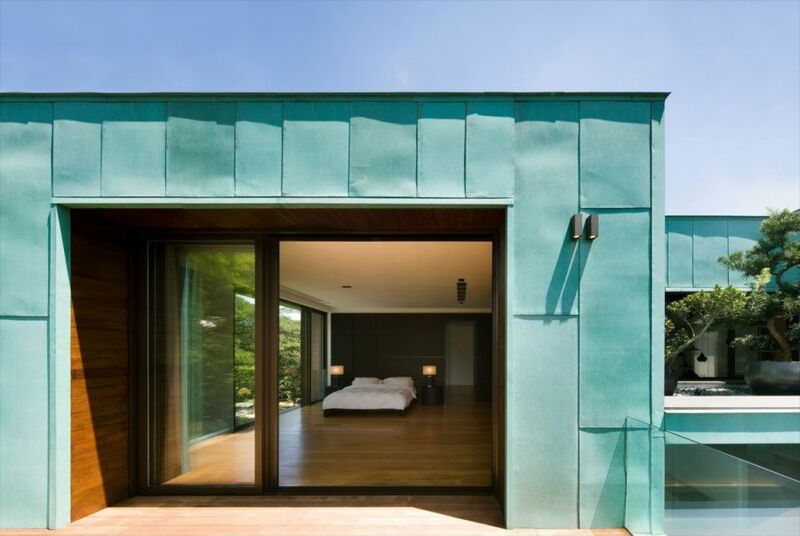 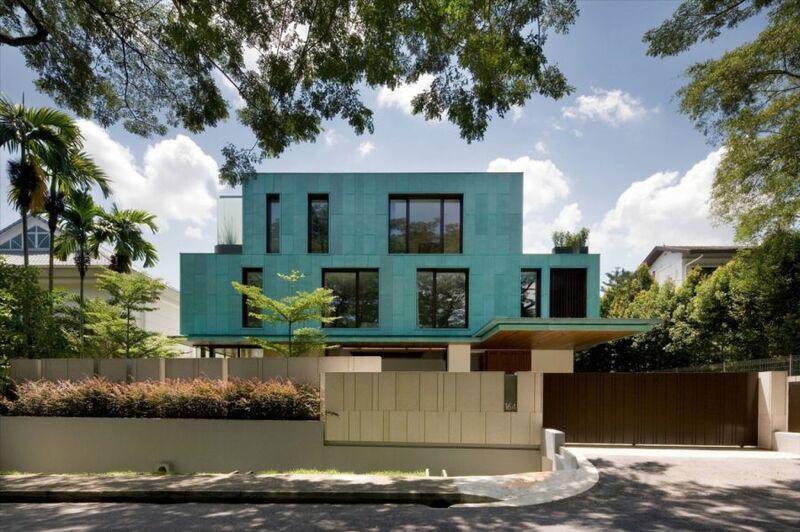 The patina-aged copper cladding though goes beyond being a mere visual accessory. 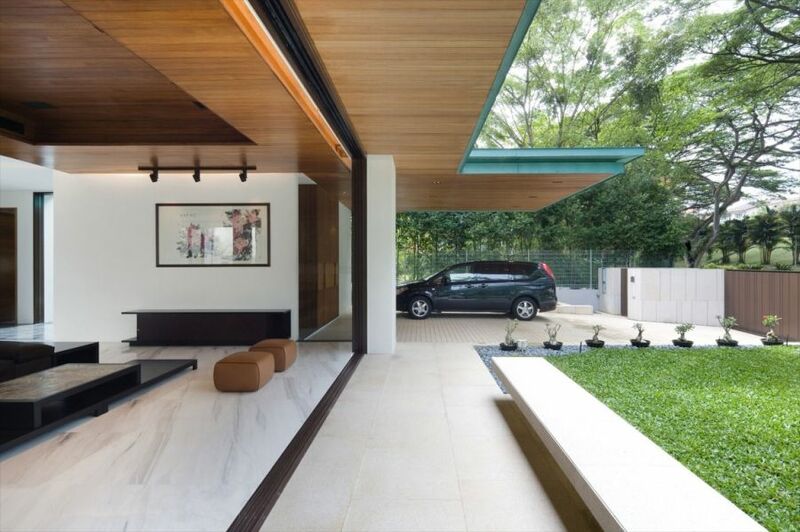 Working along with the timber infill used in the structure, the exclusive exteriors acts as a natural heat shield and regulates the temperature of the interiors. 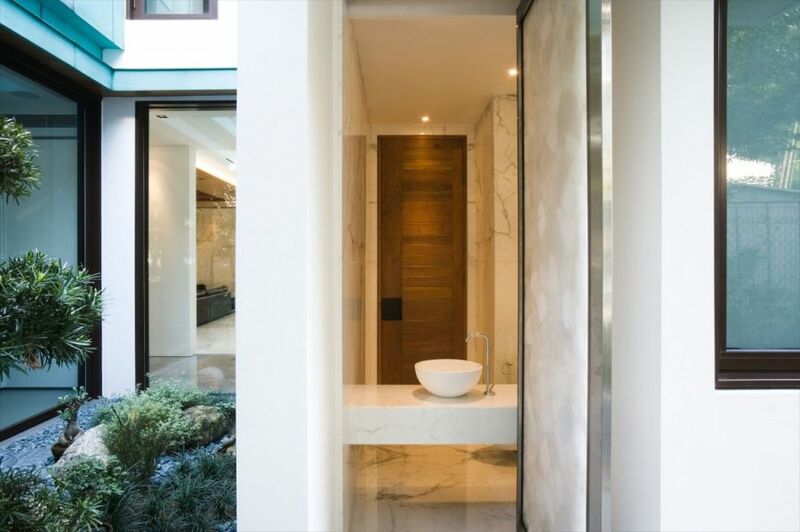 Spread across three different levels, the residence receives ample natural ventilation thanks to the sliding glass doors and intelligent placement of shutters and sculptured gardens. 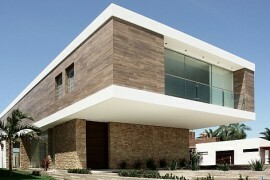 The lower level of the home houses the kitchen, study, living and dining spaces, Jacuzzi, home library and work area. 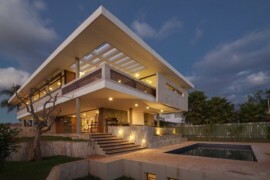 Both the top levels contain the private quarters which include the master bedroom and the entertainment room. 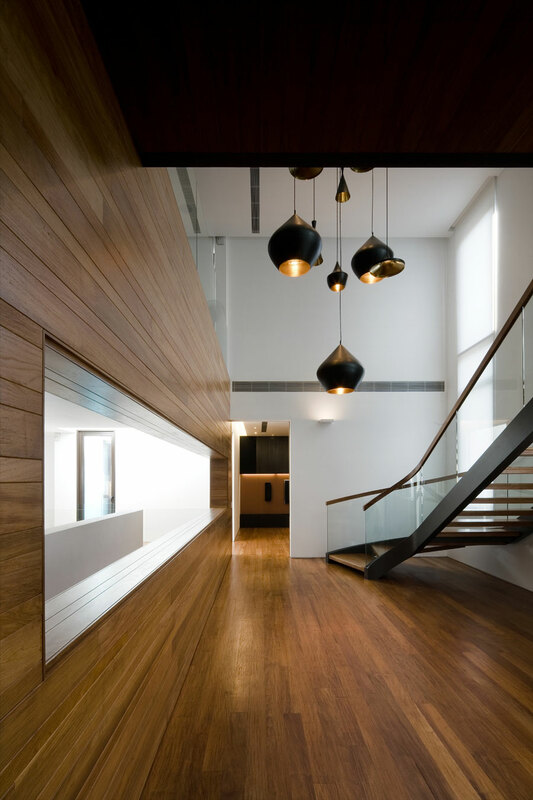 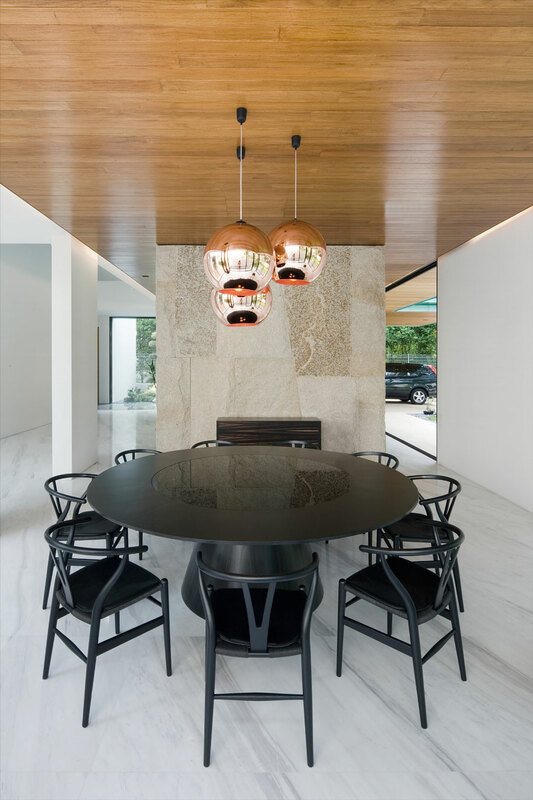 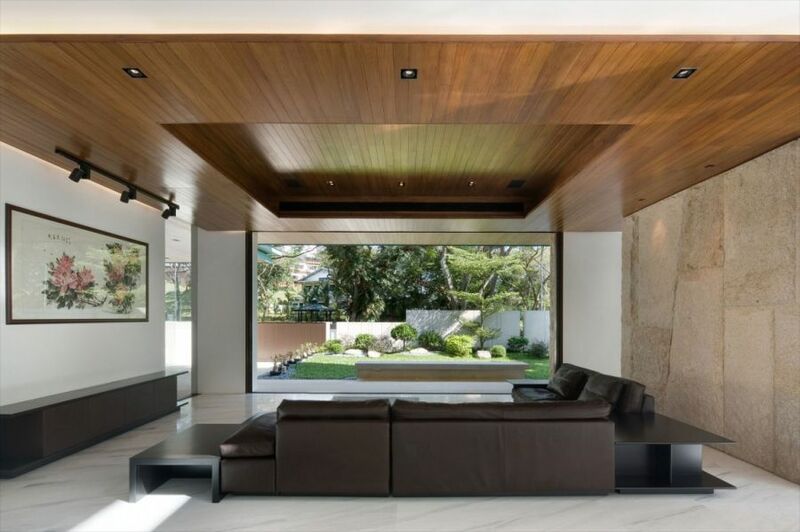 Warm wooden tones have been generously used throughout the home even as the neutral interiors and plush décor keep the design style contemporary. 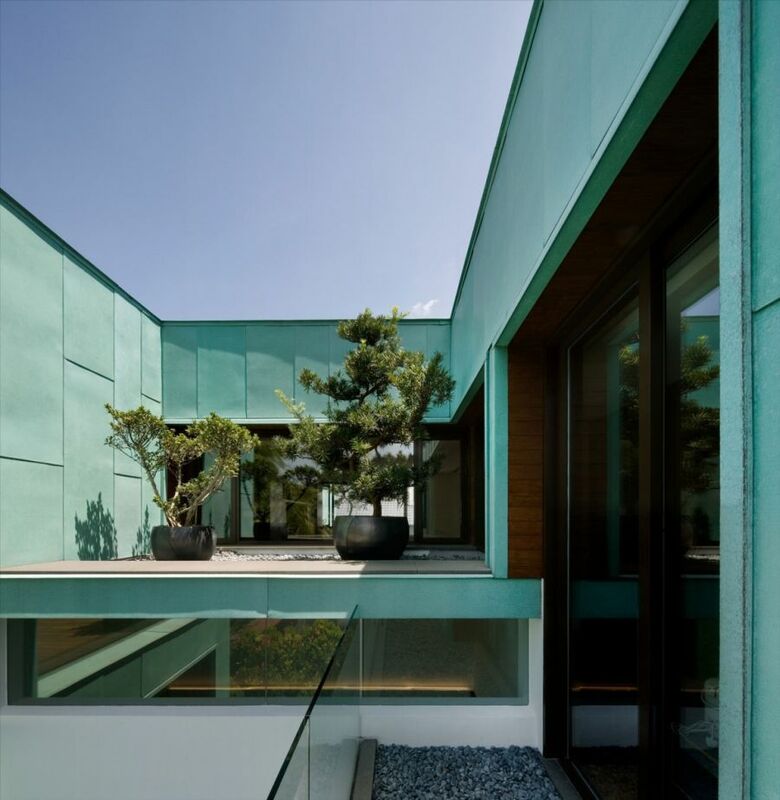 Striking, energy-conscious and stylish, the Green House most definitely sports a unique presence that is inimitable and exceptional!